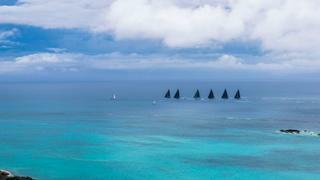 Boat International America's Cup Trophy winner Lionheart and the rest of the J Class fleet making their way through Bermuda's azure waters on the final day of racing. 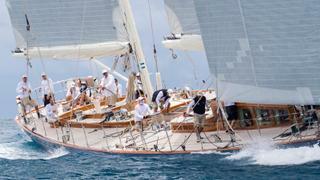 Sojana's crew opt for a colourful take on a traditional Bermudan style. 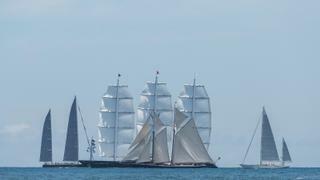 The stylish Rebecca cuts through the water on her way to second place in Class B.
Maltese Falcon and Hyperion demonstrate their contrasting styles on the race course during the final race of the regatta. Audrey II reaching along under full sail. 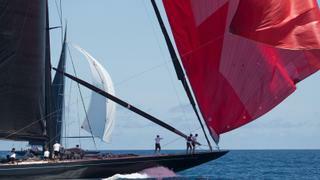 Svea, the newest J Class yacht built, makes her regatta debut on the second day of the America's Cup Superyacht Regatta. 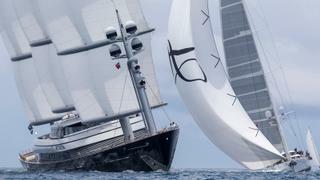 The J Class fleet on the course on the second day, which saw racing take place between St David’s Lighthouse and St Catherine’s Beach with a downwind start. 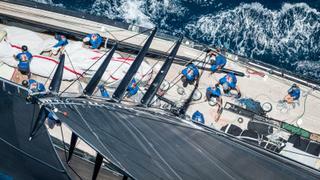 An ariel shot showing J Class Hanuman's crew hard at work during the second day of racing where crews enjoyed stronger winds than on day one. A crew member of Ranger clearing a halyard at the spreader end. 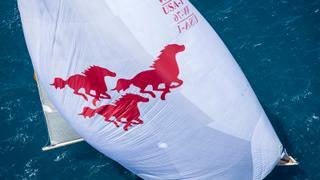 The smallest yacht in the regatta, Wild Horses, in full flight with her spinnaker up. 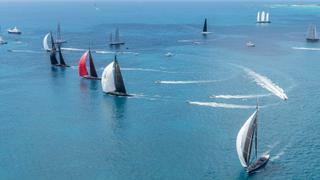 The diverse superyacht fleet – which ranges from the 23.2m Wild Horses to the 88m Maltese Falcon – gathers ahead of the start on Race Day One, in association with Rego Sotheby’s International Realty, at the America's Cup Superyacht Regatta in Bermuda. 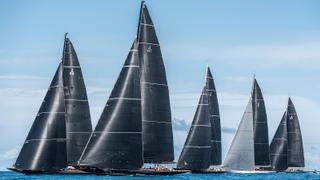 The five strong J Class fleet, racing in association with Bermuda Business Development Agency, battle it out on Bermuda's blue waters after a class start. 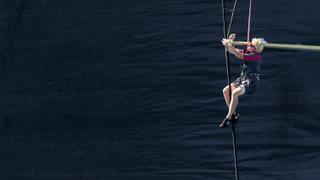 A Class J crew add their ballast during the light winds experienced during the first day of racing at the America's Cup Superyacht Regatta. 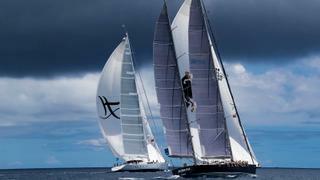 Hyperion and Sojana tight reaching on the second leg of the first race. 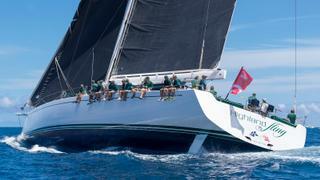 Launched in 2016 Nautor’s Swan's Highland Fling reaching under a Code Zero. 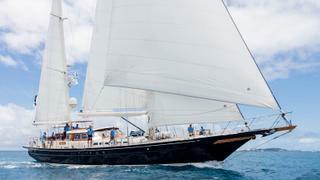 Launched in 2016 Nautor’s Swan'sHighland Fling reaching under a Code Zero.